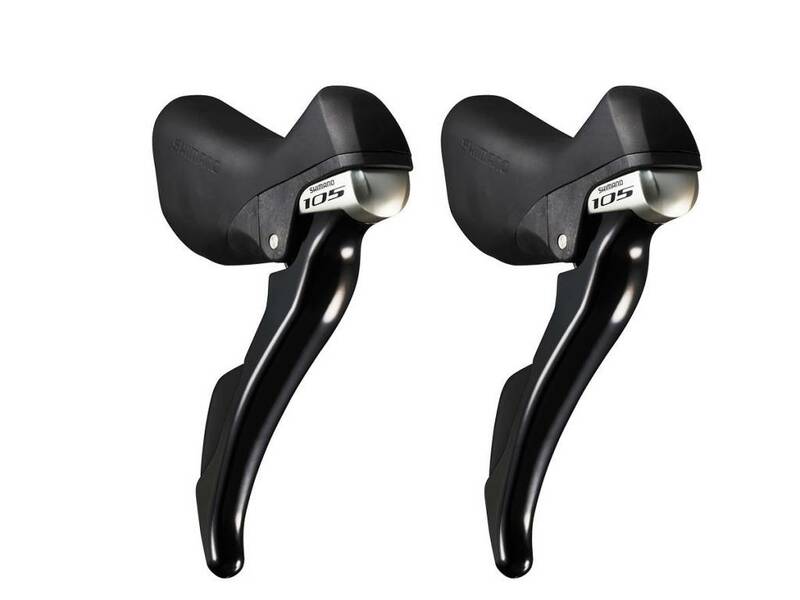 Ergonomically designed, Shimano's 105 11-speed STI shift lever offers 10mm of reach adjustment for riders with small hands. The Shimano 105 5800 2x11-Speed STI Shifter Set is compatible with three of Shimano’s mechanical 11-speed groupsets: Dura-Ace 9000, Ultegra 6800, and 105 5800. The brake hoods of the 105 5800 STI shifters follow natural hand movement, which provides precise gear changes as well as increased power when riding on the hoods.